Watermelon is the perfect summer flavour for this refreshing drink. In a saucepan, add in 1 cup of water and 2 cups of sugar and stir the mixture gently until most of the sugar has dissolved on low heat. Add in the remainder sugar and stir until it is completely dissolved. Steep 1 tea bag of Sir Thomas Lipton Peppermint Infusion (1 tea bag + 1 cup hot water) with hot water for 5 minutes. Set aside to chill. Blend all the ingredients together. 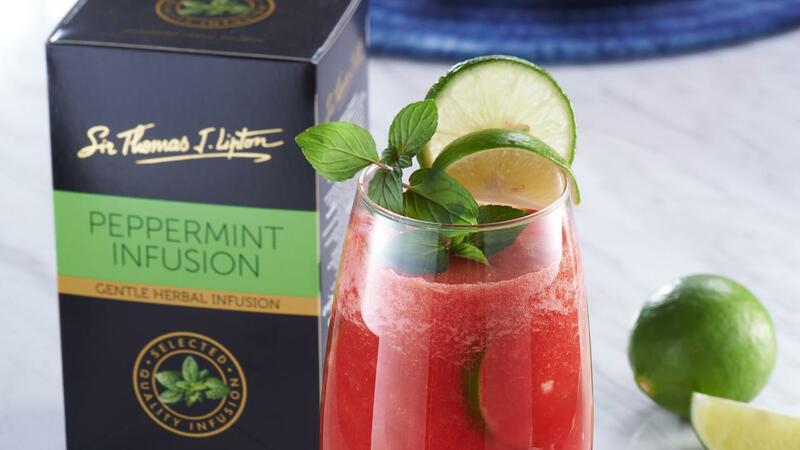 Garnish with some peppermint leaves and serve immediately.